This dishwashing liquid is a powerful degreaser, cleaning the most stubborn stuck-on food from dishes. It even cuts through grease on plastic. In addition to cleaning dishes, the antibacterial formula in Ajax also effectively kills germs and bacteria on hands when used as a hand soap. With a formula that contains 100% real citrus extracts, it leaves behind nothing but a pleasant orange scent. 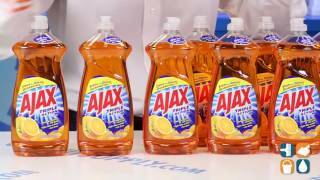 You can count on Ajax Dish Liquid for 100% grease removal that gets dishes sparkling clean. Ideal for use in residential and commercial kitchens. 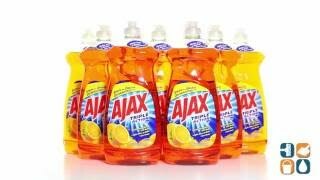 Order Ajax Triple Action Dish Detergent today and save. Buy in bulk and save even more!